Home » Blog » Internet Marketing » Web Hosting Companies – Is There a Difference? Are you currently looking for the best Web Hosting Company to host your small business website? Great! Taking the time to do a little research in order to find out which particular Web Hosting Company will best suit your particular needs is a fantastic idea. 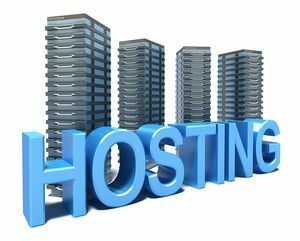 There are so many Web Hosting Companies available to choose from nowadays that it simply makes sense to do a little homework first in order to determine the best Website Hosting Company that is right for you and your business! While many people assume that all web hosts are the same, you need to consider performance, security, and reliability, which can vary greatly between companies. It’s important to give your business website that online presence that people come to expect when wanting to deal with a legitimate website that also offers security to both you and your visitors. Your website should make your visitors and customers feel comfortable, which is partly established by choosing a website hosting company that gives you all the tools to do so. No one wants to deal with a website that may be experiencing some reliability issues, and if they persist the customer is more likely to find another (problem free) website that can fulfill their needs. You will lose all credibility to your clients if your website fails to load, if your website has been hacked or if someone gets a virus trying to view your website. These are all examples of what could happen with a less than reputable web host. There are many things you need to look for with a web hosting company. Make sure you do your homework. First you need to figure out whether you need a Windows machine (ASP, .NET websites) or the more comment Linux machine (PHP, WordPress, etc.). Below is a loose guideline of what you should have installed with any web host. Finding the right Web Hosting Company for your particular business is not to be underestimated. It’s critical to understand exactly what your particular website will need, and then find a web hosting company that can give it to you! While I do host client’s sites and others at Detroit Web Hosting for those that don’t want to do-it-yourself, the hosts below are quality. HostGator – Excellent quality and reliability. Includes everything you need. There are many other web hosts out there but I’ve had experience with these two and have found them to be good for business. When you first visit a web hosting company’s website, be sure to look for any seals of approval and/or any awards given to that particular site, as this helps to give the site that all-important authority that allows visitors to feel confident when using a particular website.